Search For "Educational Services" Companies in Santa Rosa, California - Click Here Now! Gymnastic Instruction For All Ages And Levels. We Also Provide Camps, Field Trips And Birthday Parties. 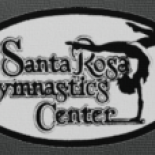 Santa Rosa Gymnastics in Santa Rosa is a company that specializes in Schools And Educational Services, Nec. Our records show it was established in California.